Dr. Matthew Doyle is the Executive Director of the International Center for Educational Research (iCERP) – a global space promoting intersectionality of thought and focus on the lifelong learner. 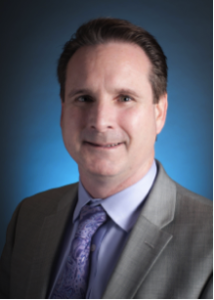 Dr. Doyle is the Assistant Superintendent of Innovation for the Vista Unified School District. He holds a doctorate in education leadership. Dr. Doyle is responsible for leading the design and implementation of the district strategic plan, the Blueprint for Educational Excellence and Innovation, in response to State of California LCAP funding provisions. Dr. Doyle’s primary focus is to create the conditions for transforming a traditional educational organization into a scalable, sustainable personal learning environment. The Personal Learning Challenge project won the Golden Bell Award from the California School Boards Association. Dr. Doyle has spent 29 years in education as a teacher, site administrator, district administrator and county administrator. Dr. Doyle has extensive experience supporting English language learners and students with special needs. His current area of strategic interest is the design and development of a learning ecosystem including prenatal to grade three systems, learning zones and building a career superhighway – an uninterrupted career development pathway for students to discover their strengths and interests and transform them into talent capital that aligns to the demands of the global marketplace. Dr. Doyle lives in Vista, California with his wife Alejandra and three sons Matthew, Alexander and John.